Kuala Lumpur, which is the capital of Malaysia, is located very near the equator so it has a very hot and humid climate. Approximately 1.3 million people call Kuala Lumpur home, but many tourists also love to visit this exciting city each year. If you�re planning a budget-friendly holiday to Kuala Lumpur, you�ll have many affordable lodging options. Here are ten hotels to get you started as you plan your trip to �KL�. More information and photo's about this Hotel <click>. A quality accommodation for those interested in nightlife, restaurants, shopping: the Hotel Rae in Kuala Lumpur is a great address for both business and leisure travelers. . From here, guests can enjoy easy access to all that the vibrant city has to offer. Visitors to the hotel can take pleasure in touring the city's top attractions: Jalan Changkat Bukit Bintang, Jalan Alor (Food Street), Old Asia. Hotel Rae offers impeccable service and all the essential amenities to invigorate travelers. The hotel offers access to a vast array of services, including safety deposit boxes, tours, nightclub / DJ, shops, airport transfer. Offering quality accommodations in the restaurants, sightseeing, shopping area in the Chinatown area of Kuala Lumpur, Swiss Inn Chinatown Kuala Lumpur is a popular pick for both business and leisure travelers. This modest but well equipped property is located between two parallel streets that immediately provide direct access to the Chinatown pedestrian shopping street on one end and a vehicle accessible street on the other. The city's transportation hubs such as Pasar Seni MRT and Plaza Rakyat LRT station are within a short 8-minute stroll from the property. With its convenient location, the property offers easy access to all that the lively city has to offer such as Chinatown Petaling street and Central Market. 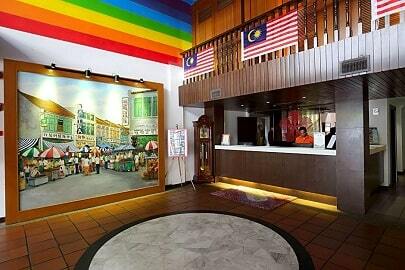 At Swiss Inn Chinatown Kuala Lumpur, every effort is made to make guests feel comfortable. The property offers 151 rooms with three categories, namely the Superior rooms, Deluxe rooms and Family rooms, all distinctively reflecting a blend of modern and contemporary design. Each room is provided with an LCD television, in-room safe, coffee and tea facilities and free Wi-Fi. 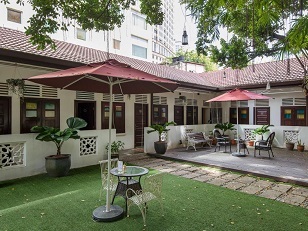 The property's Caf� Petaling serves daily buffet breakfast and boasts delectable Malaysian street food along with a selection of international favorites. Public parking is available near the hotel which has additional charge. 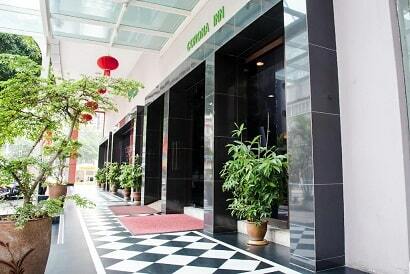 Whatever your purpose of visit, Swiss Inn Chinatown Kuala Lumpur is an excellent choice for you stay in Kuala Lumpur. Hotel Nida Changkat Bukit Bintang is a distinct addition to Kuala Lumpur and a smart choice for travelers. The excitement of the city center is only away. With its convenient location, the property offers easy access to the city's must-see destinations. At Hotel Nida Changkat Bukit Bintang, the excellent service and superior facilities make for an unforgettable stay. For the comfort and convenience of guests, the property offers free Wi-Fi in all rooms, 24-hour security, convenience store, taxi service, 24-hour front desk. All guestrooms feature a variety of comforts. Many even provide flat screen television, complimentary instant coffee, fireplace, linens, mirror to please the most discerning guest. The property's host of recreational offerings ensures you have plenty to do during your stay. When you are looking for comfortable and convenient accommodation in Kuala Lumpur, make Hotel Nida Changkat Bukit Bintang your home away from home. 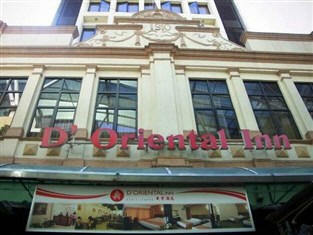 D'Oriental Inn Kuala Lumpur sits in the heart of Chinatown on Petaling Street near the Puduraya main bus terminal, which links northern and southern parts of Malaysia. 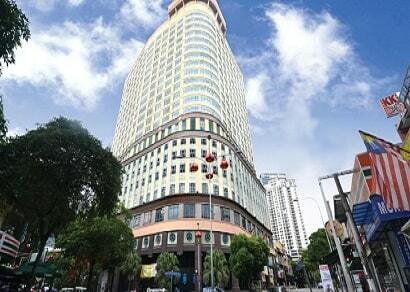 The hotel is also between the Putra line LRT station at Central Market and the Star LRT station at Puduraya. D�Oriental Inn KL is surrounded by a paradise for shoppers and tourists, surrounded by various colorful bazaars, and food courts which showcase local mouth-watering Chinese delicacies. Spacious and tastefully-furnished, all guestrooms offer modern amenities. 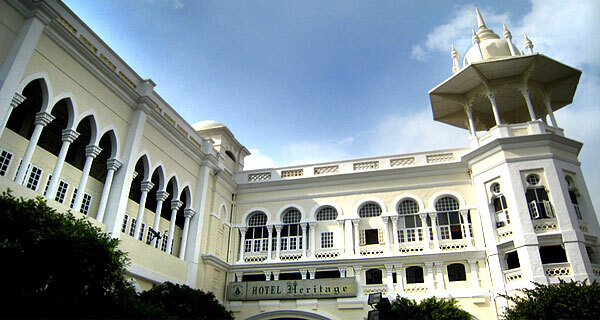 Ideal for travelers on a shoestring budget, this hotel can arrange a city tour in Kuala Lumpur or an in-country trip featuring a visit to Melaka, one of Malaysia�s historic towns famous for its Sino-Portuguese architecture. From the moment you step into the lobby of Corona Inn Kuala Lumpur, you will feel immediately welcomed by the hotel's warmth and genuine hospitality. The heartfelt service from the hotel's friendly and accommodating staff makes guests feel right at home straight away. 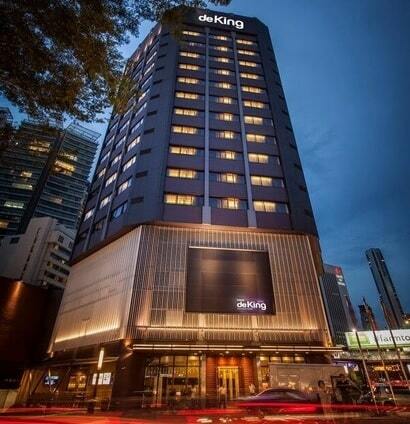 Located just off Jalan Bukit Bintang, the city's main shopping and entertainment district, this hotel is within walking distance to all the major shopping areas and malls, as well as plenty of public transportation points to take guests to anywhere in the city. The cosy guestrooms coupled with excellent facilities make one's stay here all the more inviting. 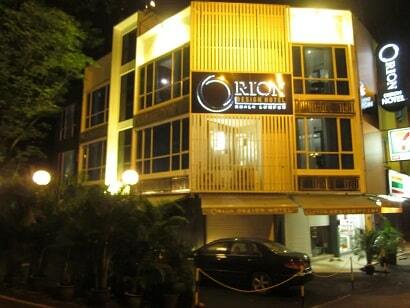 Bintang Warisan Hotel offers affordable base for travelers visiting the city of Kuala Lumpur. Located within walking distance of major entertainment, shopping and business venues, the hotel makes it easy for guests to enjoy all that Kuala Lumpur has to offer. Guests are well-supplied with choice of public transport like the LRT Station. The rooms are spacious with standard basic room amenities such as air-conditioning, television, telephone and coffee and tea making facilities. Guests are welcome to enjoy a cup of coffee at the Heritage Coffeehouse or, alternatively, explore around the city for a great range of delicious street food. When visiting Kuala Lumpur, you'll feel right at home at The Yard Boutique Hotel, which offers quality accommodation and great service. Only 60km away, this 2-star hotel can be easily accessed from the airport. With its convenient location, the hotel offers easy access to the city's must-see destinations. Take advantage of a wealth of unrivaled services and amenities at this Kuala Lumpur hotel. A selection of top-class facilities such as free Wi-Fi in all rooms, 24-hour front desk, luggage storage, Wi-Fi in public areas, safety deposit boxes can be enjoyed at the hotel. 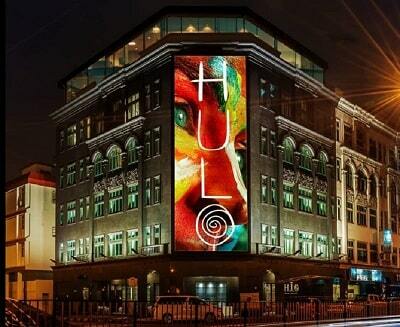 For travelers who want to take in the sights and sounds of Kuala Lumpur, The Hulo Hotel & Gallery is the perfect choice. Only from the city center, the hotel's strategic location ensures that guests can quickly and easily reach many local points of interest. With its convenient location, the hotel offers easy access to the city's must-see destinations. Take advantage of a wealth of unrivaled services and amenities at this Kuala Lumpur hotel. Top features of the hotel include free Wi-Fi in all rooms, 24-hour security, daily housekeeping, taxi service, wheelchair accessible. The ambiance of The Hulo Hotel & Gallery is reflected in every guestroom. television LCD/plasma screen, complimentary instant coffee, complimentary tea, linens, mirror are just some of the facilities that can be found throughout the property. Besides, the hotel's host of recreational offerings ensures you have plenty to do during your stay. Enjoy unparalleled services and a truly prestigious address at the The Hulo Hotel & Gallery. When visiting Kuala Lumpur, you'll feel right at home at Simms Boutique Hotel Bukit Bintang as it offers quality accommodation and great service. From here, guests can make the most of all that the lively city has to offer. With its convenient location, the property offers easy access to the city's must-see destinations. Offering guests superior services and a broad range of amenities, Simms Boutique Hotel Bukit Bintang is committed to ensuring that your stay is as comfortable as possible. Experience high quality room facilities during your stay here. Some rooms include flat screen television, air conditioning, desk, satellite/cable TV, toiletries to help guests recharge after a long day. The property's host of recreational offerings ensures you have plenty to do during your stay. Simms Boutique Hotel Bukit Bintang is a smart choice for travelers to Kuala Lumpur, offering a relaxed and hassle-free stay every time.